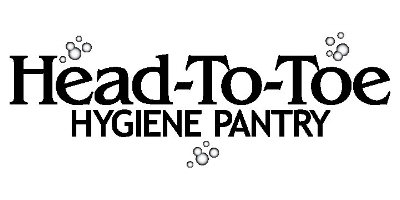 Head to Toe Hygiene Pantry is a collaborative effort of University Congregational Church, Open Door, Interfaith, and Breakthrough Club. This ministry meets the need of those in Wichita who lack the resources for basic hygiene products. From diapers to razors, from toilet paper to toothpaste, Head to Toe delivers these items to the people in a dignified loving way. Headed by Debbie Green and a host of volunteers, including MPSC, they serve well over 300 families each Saturday they are open. MPSC supports Head to Toe financially every month as well as through volunteering. Tru Identity (MPSC Youth) volunteer and share the love of Jesus in a very practical way. United Methodist Open Door began in 1965 as “United Methodist Urban Ministry of Wichita” by a group of Methodist clergy and laity who felt that the church should be more responsive to the needs of our city In 1981, the country faced serious financial problems that adversely affected the local economy. In response to the crisis, United Methodist Urban Ministry became even more involved in direct service to the community and in the process became supported by a diverse group. In 2007, the agency changed its name to United Methodist Open Door to better reflect its purpose and mission to provide food, clothing, and shelter. Today the agency continues to open their doors – and hearts – to more than 14,500 people in need each month. MPSC supports Open Door through giving ongoing clothing donations to Open Door’s clothes closet and will continue to look for opportunities to partner with Open Door.